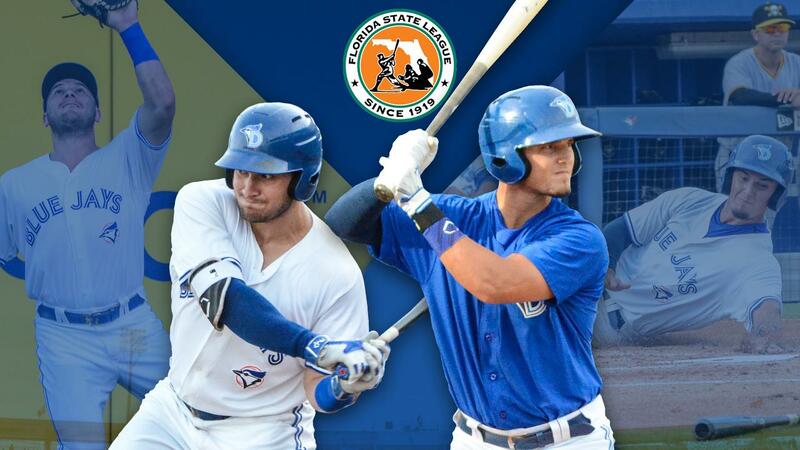 A pair of Dunedin Blue Jays sluggers have been named to the Florida State League's End of Season All-Star Team. Connor Panas has been one of the league's most impressive breakout stars in the second half of the season. Through July 1st, he had hit just .223 with 4 home runs on the season. From July 1st on, he has terrorized opposing pitchers, slashing .330/.404/.596 with 12 home runs. From the start of July on, Panas leads the league in runs (36), total bases (121), hits (67), runs batted in (41), extra base hits (27), slugging (.596), OPS (1.000) and homers (12). With his resurgent second half, Panas has hit .282 with a team-leading 16 home runs and 54 runs batted in this season. Max Pentecost has put together a consistently strong campaign despite nagging injuries that have limited his time on the field in the second half. Pentecost will serve as the End of Season All-Star team's designated hitter thanks to a .276/.332/.434 batting line, 9 home runs, and 54 runs batted in this season. The 2014 first round pick was also selected to the Florida State League's mid-season All-Star team.